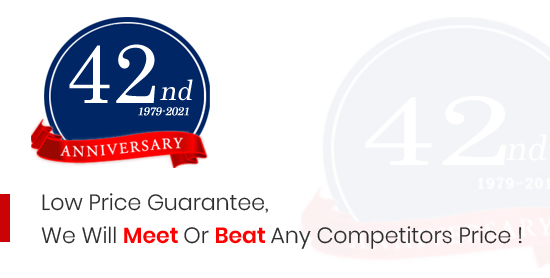 Low Price Guarantee, We Will Meet Or Beat Any Competitors Price ! RHDC (Red Hot Document Company) is the largest document Legalization and export Letter of Credit company in the United States, serving freight forwarders and exporters for almost four decades. With offices in major export cities nationwide, we are able to legalize your documents at the correct consular jurisdiction irrespective of origin or destination, saving you both time and money. RHDC (Red Hot Document Company) is the largest document Legalization and export Letter of Credit company in the United States, serving freight forwarders and exporters for almost four decades. With offices in major export cities nationwide. legalize/chamberize your documents at the correct consular jurisdiction irrespective of origin or destination, saving you both time and money. We accept document via Fax: (713) 869-0553 and Email: legal@rhdc.com to speed processing for time sensitive shipments. RHDC generally prepays all of the Consular/Chamber fees for you and bills you on 10-days terms depending on credit status and dollar amount. We provide a toll-free number i.e. 1-800-468 – 3627 for pickups, quotations, status requests, updated consulate information, last minute changes on documents and supplies. We offer FREE pickup and delivery of documents in cities where we have an office. Our price list is “all inclusive”; there are no hidden cost. We provide extended hours (7:30AM – 7:30PM CST, Monday-Friday and 9:00AM – 12:00 Noon on Saturday) for our nationwide customer base. RHDC is now pleased to offer our new Carnet service for our valued clients. We can have your Carnet issued and sent to you within 2 business days and can also provide Rush service in 1 day or even same day in some areas. Please visit the Carnet section of our website for more information or send us an email at carnet@rhdc.com with your inquiry. Do you have a small package that needs to be on the next flight out? RHDC provides on board courier services for urgent items that just can't wait to be sent via normal air cargo. Contact us today at handcarry@rhdc.com for details and quote requests. Do you need your documents translated? RHDC provides translation services to and from over 100 languages. Contact us at translation@rhdc.com for questions or quote requests. Our translators provide services for both standard and technical translation requests. Have a question and don't want to call or send an email? Please use the new live chat option on our website and connect with an RHDC representative within seconds. We are available from 8am - 5pm CST to answer your questions.